Nick's Car Wash and Quick Lube has been locally owned and operated at 516 Haywood Road, Greenville, SC 29607 since 1985. Our services include full service car wash, full service quick lube, and detailing services. We are open Monday through Saturday from 8:00 a.m. to 6:00 p.m. (closed Sundays). We look forward to seeing you soon. Visit us on Facebook at www.facebook.com/nickscarwash. Questions and comments are more than welcome. Feel free to browse our auto accessory and gift shop area while you wait, or just relax with a free cup of coffee. Looking for a unique gift idea? Check out our five or ten punch wash cards for significant discounts off our regular prices. A prepaid gift card in any denomination you choose would also make a great gift. Don't forget to stop by on Wednesdays for our Wonderful Wednesday discounts on all wash packages. We honor competitor's coupons for wash services on all other days. 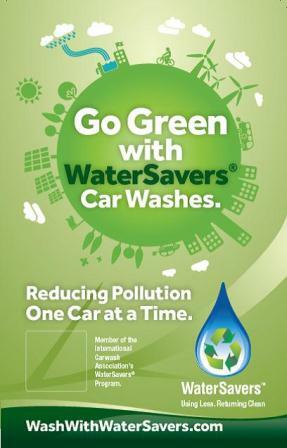 We belong to the International Carwash Association's Watersavers program. We conserve water by using a reclaim system that recycles treated water for future wash cycles. We are proud to do our part in being environmentally friendly.